Nokdok is a web and app based platform that enhances the connectivity between Doctors and Patients. For Patients it is a platform that gives control of medical interactions, data and documents. Is this a paid platform? Nokdok is a completely FREE to use platform, with no one time cost, subscription or membership fee or upgradation fee. Doctors – Click here to sign up and our onboarding team will get in touch with you. Patients – Sign up here to begin the journey towards simplified healthcare. 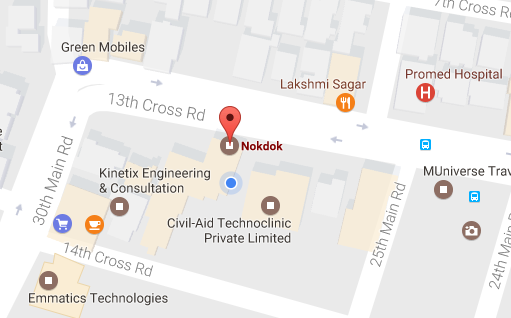 Nokdok prides itself in the fact that we uphold and maintain complete privacy and security of information. Doctor and Patient data is held in secure cloud servers.